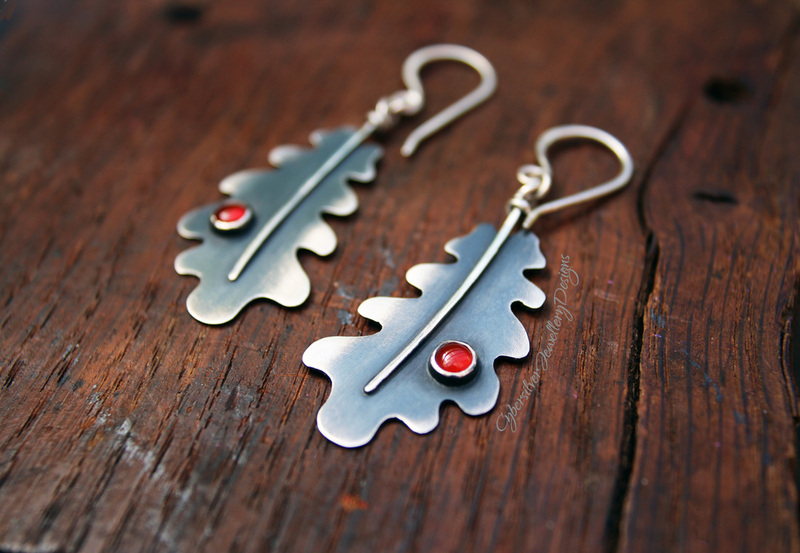 Beautiful sterling silver oak leaves set with gorgeous orange-red carnelians. These earrings are entirely handmade by me - from each hand cut oak leaf to the handmade ear hooks. The silver has been oxidised, highlighted and waxed with a microcrystalline wax to help protect the oxidised surface.